Polthaus Workshop: Easy Like Sunday Morning. Getting ready for the Super Bowl at our house usually means doing absolutely nothing because we go to someone else's house for a party. That left an unusual Sunday morning for some light reading, coffee and a quick trip to the workshop to clean up the mess from earlier that week. Light reading consisted of some very serious literature dedicated to.......okay it was the Sunday Funnies. While I was in the shop I also wrapped up some panels I am assembling for my entertainment center. The panels are assembled like doors. The four corners are blind mortised into one another and an MDF core plywood panel is inserted into a dado running around the interior of the panel prior to assembly. I'll post some photos of the panels when I write my entry on building the door for the entertainment center. Prior to cramming the mortises and tenons together, I did something I have never really given much thought to before. I can't remember where I learned this little trick but I have done it for a long time. When assembling mortises it helps to ease the edges of the tenons at a slight angle. This helps to see where the tight spots are, if there are any, and it helps the tenon fit into the mortise without tearing up the sometimes delicate ends of the tenons. 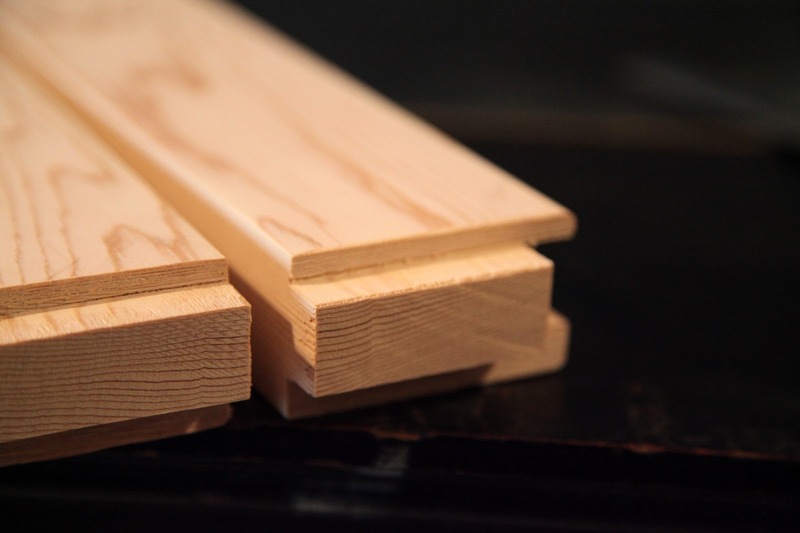 The severity to which I ease the edge depends on the depth of the tenon and the importance of the strength of the joint. More easing equals less contact area between the walls of the mortise and the sides of the tenon, so just a little will do. This is just a super simple little step that can help make some assembly easier and help prevent breakages and blowouts. I'm all about things that make my life easier...give it a try.